One is likely to enter production. BMW has a rich history of actually producing the concepts they build, and in most cases, the production versions bear more than just slight resemblances to the concepts that precede them – in fact, they’re normally almost identical. Case in point, the , , Concept X4, and . However, there have been several concepts that never made it but really should have. Among those, many are tribute concepts to models of old, but with a resurgence of retro concepts lately, we thought we’d take a look back and pick the 10 BMW concepts we think would be phenomenal in production. Audi makes the R8, Mercedes the AMG GT and , but BMW still doesn’t produce a bona fide supercar. The i8 is cool but it’s no supercar, and considering the rich history of BMW’s M1 from the 70s and 80s, the M1 Homage deserves a place in the real world. The M1 Homage featured retro styling to act as a modern take on the M1 when the concept debuted in 2008 – 30 years after the original M1. Girgetto Giugiaro was the man behind the styling, incorporating details such as the dual rear badges and mid-engined proportions. No specifications were ever released, and the concept was strictly a static one, but how great would it be if BMW produced a proper retro supercar? 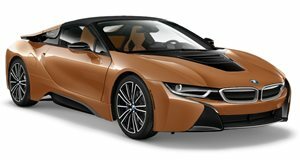 2015 saw the debut of two cool BMW concepts – celebrating BMW’s 40th anniversary in the US. The 3.0 CSL Hommage was great, but the Hommage R took it to its full potential – replete with race-inspired looks to make it a true . The Hommage R was powered by a 3.0-liter twin-turbo inline 6, equipped with an e-boost to bump the power up beyond 500 horsepower, though the actual figure was never confirmed by BMW. It was the interior and ancillaries that complete the 3.0 CSL Hommage R’s appeal, representing true driver focus. The instrument cluster, dash, and steering wheel setup all focused on the driver, with features like shift timers displayed by ambient glow across the dash. An advanced heads-up display was courtesy of a Puma race-suit with a helmet visor acting as a HUD panel. 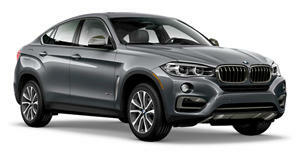 Build it, BMW, and they shall buy it! Another retro concept from BMW – released to celebrate the original’s 75th anniversary – not the E36 3 Series of the same designation. The concept offered a take on how the 328 might have been produced using modern technologies, meaning plenty of carbon fiber reinforced plastic was used in its construction. Thankfully, most of that was left exposed on the bodywork. BMW was tight-lipped on the drivetrain, but the 328 Hommage did make use of a 3.0-liter straight-6 to power it along. The concept weighed next to nothing, in part due to the lack of doors entirely. This one might not have gone down , but we can still dream, can’t we? OK, so we like the BMW Hommage concepts, a lot. The 2002 Hommage celebrated 100 years of BMW, paying tribute to the homologated 2002 Turbo of half that age. It featured classic BMW styling cues such as the shark nose and short body overhangs. Unlike many of the Hommage concepts, the 2002 actually had roots in a production model, built upon the incredible BMW M2 – . 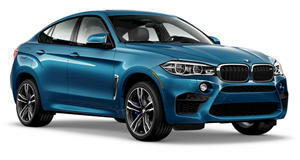 The M2 is great, but how cool would a limited run, 400-hp 2002 turbo-styled production model be? We’re still hoping this one does get built, as the BMW i Vision Dynamics concept . The futuristic-looking 4-door Gran Coupe is electrically driven and, according to BMW, has a claimed electric driving range of 373 miles on a charge, a top speed of over 120 mph, and a 0-60 mph sprint time of less than 4 seconds. Featuring an impressive low-drag design, the concept could be previewing BMW’s future electric design language, with . Should the i Vision Dynamics make it to production as a BMW i5, it would take the fight head-on to Tesla’s Model 3. On this one, we’re tentatively hopeful. Based on the E89 BMW Z4, the Zagato Coupe and Roadster were unveiled just three months apart. 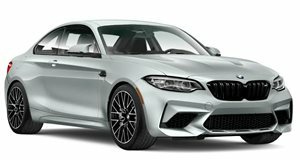 The collaboration between BMW and the Italian design house was incredible, with the coupe featuring a stylish double bubble roof, , and both models featuring details like a kidney grille composed of small “z” letters. Both models featured paintwork that changed with the light, giving it a different appearance in different circumstances. OK, so yes these were based on existing models, but the Zagato versions look so much cooler than the BMW ones, don’t they? 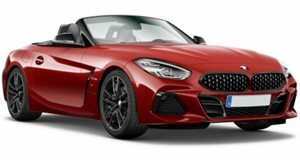 They could’ve made this the new Z4, couldn’t they? Or since the Vision ConnectedDrive concept makes use of Z1-inspired doors – with two skins in this case sliding forwards and backwards into the bodywork. The Vision ConnectedDrive was a technological showcase when it debuted in 2011, making use of radars in the lighting systems to monitor surrounding traffic, and displaying an early version of an advanced 3D heads-up display for the driver. Though futuristic in design, there were definite retro-inspired traits here, such as the aerodynamically encased rollover hoops behind the driver and passenger. Based on the E85 BMW Z4, the Concept Coupe Mille Miglia was unveiled at the 2006 edition of the event. It fused historic styling – tall and narrow kidney grilles, split windscreen, and classic rooflines – with modern technology, such as silver colored carbon fiber bodywork. The concept mentioned above, which still holds the record for the being the first car to win both the original and the renewed version of the historic race – the latter occurring just two years prior to this concept’s unveiling. BMW must have a crystal ball at its headquarters, as the 2001 X-Coupe concept previewed a futuristic coupe-crossover body style that would develop into a huge fad, 17 years later. 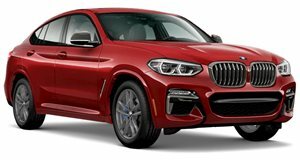 Now, BMW, Mercedes, Audi, and many more offer coupe-styled SUVs, but BMW beat them to the punch with this sports coupe-styled crossover concept based on an X5 chassis. The aluminum-bodied concept was powered by a 3.0-liter turbo-diesel engine from the X5 (184 hp and 332 lb-ft of torque), which sat in contrast to the bodywork which was styled like a sports car. The proportions make the X-Coupe look like a compact 4C-rivalling sportster when in fact it’s far, far bigger, with a wheelbase of 111-inches. In an era where , would it not be incredible for BMW to pursue a production version of this? The BMW Nazca C2 coupe was actually built – although only three were ever made for private clients. The super-stylish C2 Spider, however, . Designed by Italdesign and unveiled at the 1993 Monte Carlo F1 Grand Prix, the mid-engined supercar concept featured removable glass roof panels and a 5.7-liter Alpina-tuned V12 engine (up from 5.0-liters in the coupe) that produced 380 hp, feeding it all to the rear axle via a 6-speed manual gearbox. Much like the M1 Homage, the Nazca C2 Spider is the mid-engined BMW supercar we keep praying they’ll make, but which remains unlikely.